5.00 out of 5 based on 110 user ratings. Fabio and his team were amazing. Fabio was full of energy and kept the party going, even after my guests had overeaten and were disinclined to move. The music was great, especially considering the restrictions I placed on them. I come from a religious family, so the music can’t be too wild. At first, I thought they were overpriced, but I can see why they’re the Sand Castle’s preferred vendor. Honestly, it was worth the money. 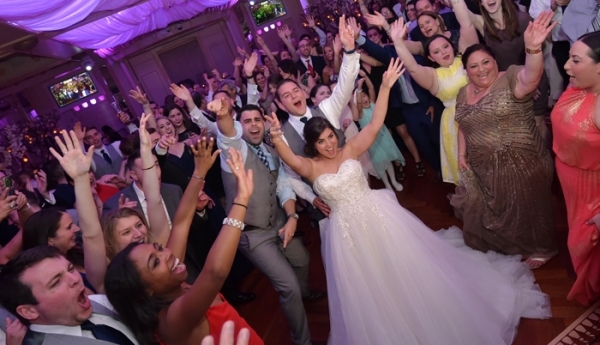 It’s so important to hire a great DJ and MC because they keep the party going. My guests loved the photo booth! I think it was a great alternative to traditional favors (I just wish some guests didn’t go 4 or 5 times – the line was always so long). I don’t remember much from my wedding - it’s kind of a blur - but looking at the DVD from that day, my guests had a great time! We used Fabio as our MC at our wedding 1 1/2 months ago and could not have been happier. He was there on the dance floor partying with us the entire night. He took the MC job seriously and we have gotten so many compliments since our wedding, "Your MC was amazing!" and we agree! He truly amped up the party and made people want to have fun and be on the dance floor. Fabio rocks!! Highly recommend him. Genesis Events was absolutely amazing! John and Joe were wonderful! My husband and I were so happy from the moment we first heard them to the final song at our wedding! 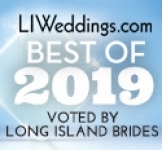 They truly know how to get people up on the dance floor and they get to know the Bride and Groom to make sure you are hearing the songs you love. Thank you so much, we loved everything! The live vocalist and sax were the icing on the cake with Genesis Events. Not only do we love them, our guests loved them too! Wow, Is all we can really say about this company!! We celebrated our one year anniversary this June 20th, but I always remember the actual day so vividly. Our guests were very pleased with the DJ, MC and the music as well!! I should have written a review a long time ago, but time would always slip away from me. DJ Raz and MC Damian were the best professionals we have worked with. Although, they were not supposed to be at our wedding, they were more than we could ever ask for. We could have easily been angry about the last minute change, but we are extremely happy it worked out!! If we met them first, they would have definitely been our number one choice!! Gina was also very helpful from day one!! She made sure we received our memory card with the music and pictures for the photo montage back in a timely manner. We would recommend this company to everyone!! The price was reasonable, and they were concerned in making sure our day was one of the best day's of our lives. You would NOT be disappointed!! What an AMAZING job Fabio did for us. Immediately when we met I trusted he knew what I wanted and he had full reigns over the party and production. He brought flat screen tv's, LED towers, we had a drummer, and bongo's, a saxophone. 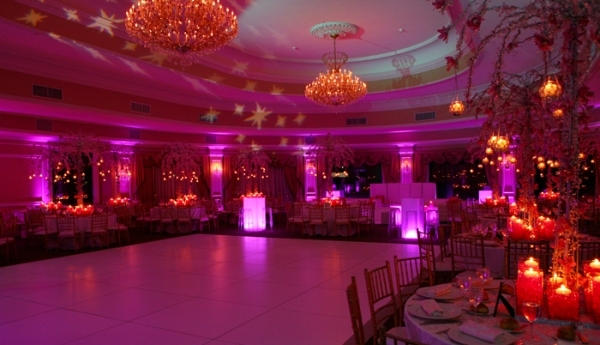 He lit up my whole reception room in red LED lights. Everyone was floored, most of all my husband and I truly had the time of our life!! No one was sitting, at any point, and that's what a celebration should be! We care about every event as if it were our own. Genesis Events was started in 2008. 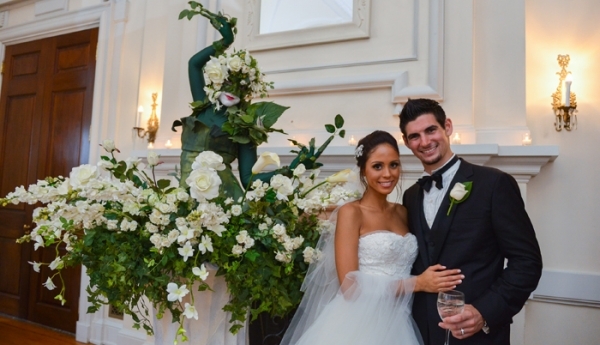 We started the company after years of working in the wedding and private event industry. We had worked them all and seen it all and we knew that the one thing that separated part time weekenders and the best of the best was passion and talent. So we took that idea and decided we would actively recruit top entertainers in the industry and provide our clients with truly exceptional service. We knew that if we offered the best quality service possible, clients would respond positively. 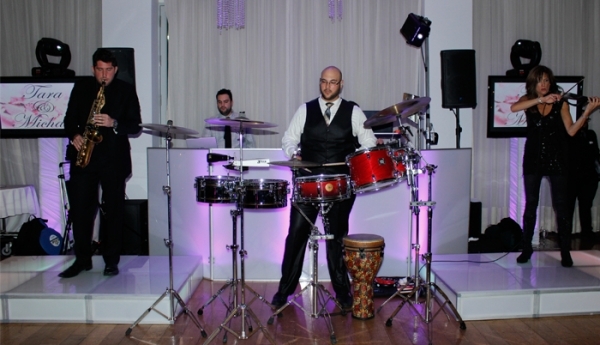 So since 2008 we have employed some of the most talented DJ's, MC's and musicians in the New York Area. We knew that clients appreciated and desired a more white glove approach to their entertainment and there was a need for true unique talent. We have been serving our market ever since and our clients have rave reviews and referred friends and family. Our philosophy is always quality over quantity. Offer the best service possible, and have passion for what you do. We care about every event as if it were our own. I will do anything I can to make your day special. 4. What sets you apart from other DJs? For other DJ's this is a job. The one goal is to offer rock bottom prices my cutting corners and providing staff that is less than qualified, or cutting back on production elements. I believe in ethical service, if you treat customers how you would family, the experience is genuine and overall feels better. This business is not like anything else. You are spending an extremely special day with your clients and you become friends. Honesty. Many people will try to yes clients over and over. When I sit with them I will be honest with them and tell them if things they are planning are likely to work or not. Sometimes people will yes clients to death hoping to book a party. But instead we try to give advice based on years of experience and thousands of events. Honesty is appreciated much more than a yes person. Then based on our discussion of everything they want from their event, and our recommendations on how to properly execute. We show up the day and make sure its the best party anyone in the room has ever been to.